James Stewart Raw Interview March 29, 2019 Stewart talks about racing Ricky Carmichael, his days with Kawasaki and why it ended, the championship that sticks out most for him, and much more. 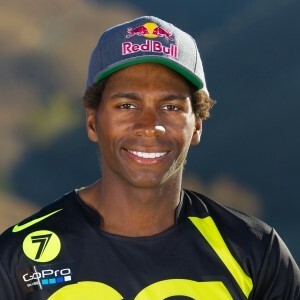 James Stewart Teases New Video In Instagram Post March 15, 2019 Earlier today, Stewart, who hasn’t posted on Instagram since 2017, released a teaser to a new video that he says will drop on March 29. Redux: Stewart, Reed, and Christmas December 25, 2018 The Christmas that kept on giving has finally given up. On This Day In Moto: October 10 October 10, 2018 James Stewart secures his last win to date, Roger DeCoster wins the Trans-AMA at Unadilla, and more. On This Day in Moto: September 25 September 25, 2018 Team USA gets its first of seven straight victories at the MXoN, Roger DeCoster wins the opening round of the Trans-AMA Series, and more. Did Matthes and AC Find Stew? Part II Of "Finding Stew" Released September 4, 2018 Check out part two of Adam Cianciarulo and Steve Matthes’ vlog, "Finding Stew," to see if they found James Stewart. On This Day in Moto: August 31 August 31, 2018 James Stewart completes the third perfect season in AMA Pro Motocross history, Suzuki wins its first AMA 125 National Championship, and more. On This Day in Moto: August 22 August 22, 2018 Ricky Carmichael clinches the AMA 250 National Championship with two rounds left, Chad Reed wins at Budds Creek, and more. On This Day in Moto: August 21 August 21, 2018 A 16-year-old Ron Lechien tops series points leader Johnny O'Mara in Colorado, Ryan Villopoto makes his professional debut, and more. On This Day in Moto: August 2 August 2, 2018 James Stewart wins all six of his motos in his last amateur appearance at Loretta Lynn's, Ron Lechien tops Jeff Ward and Rick Johnson at Broome-Tioga, and more.